If left untreated, symptoms of swimmer’s ear can become worse, even resulting in complications such as hearing loss, recurring ear infections, and bone and cartilage damage. Treatment for swimmer’s ear is aimed at stopping the infection and allowing the ear canal to heal. A medical professional will typically start by cleaning your ear canal so that eardrops can easily travel into the infected area. Your medical professional will then likely prescribe eardrops that may contain a combination of an acidic solution, anabolic steroids, and antifungal medication. Swimmer’s ear can be extremely painful, in which case you can take over-the-counter pain medication such as ibuprofen, acetaminophen, or naproxen. 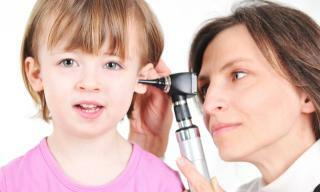 If you or your child are experiencing the symptoms of swimmer’s ear, come to FastMed Urgent Care for treatment. Our caring medical professionals will be able to look inside of the ear to determine whether or not it is infected. If the ear is infected, we can provide you with treatment that will have you feeling better in no time!